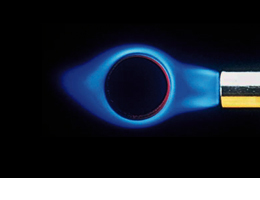 Cyclone flame burners are the most efficient burners for brazing. The rotating flames wrap around the pipes, giving an even heat distribution. Primely developed for tube brazing, cyclone flames can also be used for heating. On this page you can find out which system includes cyclone flame burners. Click here for more information about Sievert systems.